Jonathan Adler is crazy. I love it. From his 15 Fabulous Design Tips. You have read this article decorating / random with the title July 2008. 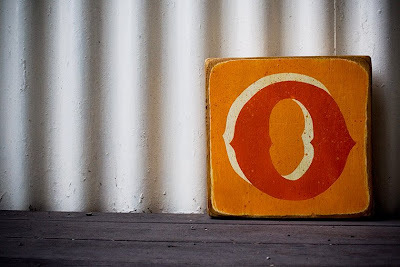 You can bookmark this page URL http://jenkrebs.blogspot.com/2008/07/fabulous-design-tip-no-5.html. Thanks! 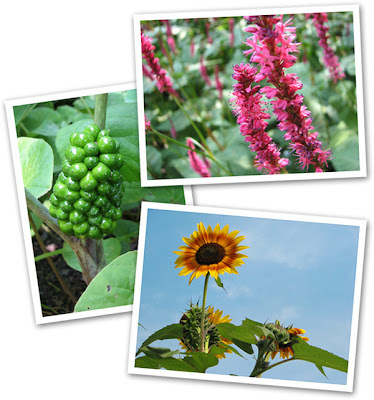 On Saturday we spent a glorious afternoon at the Chicago Botanic Garden. Part of what made it glorious was the nap we took on our picnic blanket in a secluded spot. Usually I have a hard time sleeping in public places because I'm always afraid I'll get in trouble. I'll miss my train stop, I'll drool on the person next to me, someone will take my stuff, a policeman will knock on my window and arrest me, you name it. But Saturday I felt nice and safe under a tree, way back where no other visitors wandered. Now I just need to figure out how to make some kind of DIY inflatable neck pillow. Stay tuned for that tutorial. (Yeah, not likely.) And does anyone else struggle against the temptation to eat any wild berry thing you find in the woods? 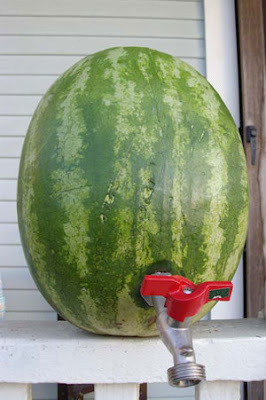 I just wanted to pop one of those green things into my mouth. But I didn't. You have read this article travel with the title July 2008. You can bookmark this page URL http://jenkrebs.blogspot.com/2008/07/sleeping-in-public-places.html. Thanks! Um, you may not have noticed, but I have a thing for desktop wallpaper. I also have a thing for fabric designers, particularly of the Nordic and Scandinavian variety. (Is it in my blood? My mom's side of the family is Norwegian. The only time I ever give it a thought is when we eat lefse at Christmas time. But maybe my genes predispose me to love Scandinavian design? Beats me.) 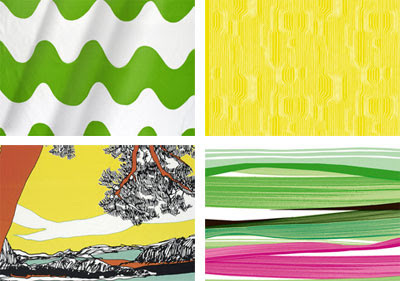 Anyhow, while poking around Marimekko's site, I came across some downloadable free desktop wallpapers and some ecards. Reading about their designers' individual creative processes was also really interesting. If you're a creative type, maybe you'll be interested, too. 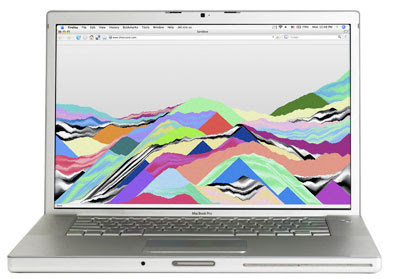 You have read this article desktops / downloads with the title July 2008. You can bookmark this page URL http://jenkrebs.blogspot.com/2008/07/the-wonderful-world-of-marimekko.html. Thanks! Our friend Janet Moran offered us a free photography session in exchange for a couple of paintings. 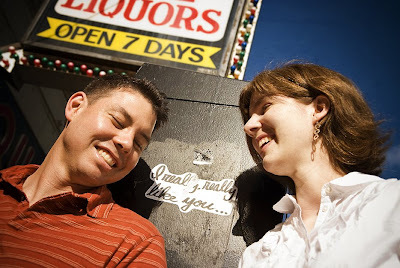 We just got the pictures she took of us—and she's a genius! 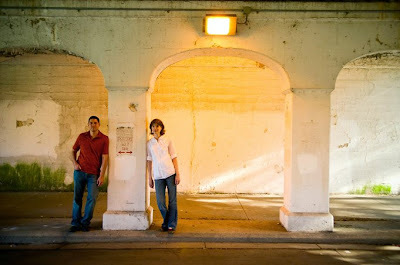 She led us around her neighborhood in Rogers Park and managed to find all kinds of interesting places to snap photos. (Don't you love that sticker?) So if you're in the Chicago area, hurry and book Oijoy Photo for a shoot before all of Janet's time slots fill up. You have read this article random with the title July 2008. You can bookmark this page URL http://jenkrebs.blogspot.com/2008/07/i-really-really-like-these.html. Thanks! 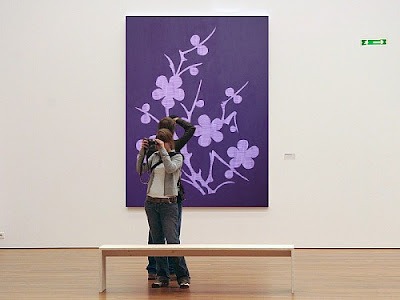 Upload a photo here and see it in a museum. Silliness! Via Photojojo. You have read this article time-wasters with the title July 2008. You can bookmark this page URL http://jenkrebs.blogspot.com/2008/07/and-if-you-want-to-waste-more-time.html. Thanks! Several people have sent me a link to Wordle, a site that automatically arranges words on a page. You paste in your own text or a web address, then pick the typeface and colors. Kinda fun. Here's my blog, Wordle-ized. Did I really write "naked" in a post sometime? Yikes, apparently so. This blog is so risqué. You have read this article time-wasters with the title July 2008. You can bookmark this page URL http://jenkrebs.blogspot.com/2008/07/wordle.html. Thanks! Maybe everybody knows this already, but I found it to be life-changing. 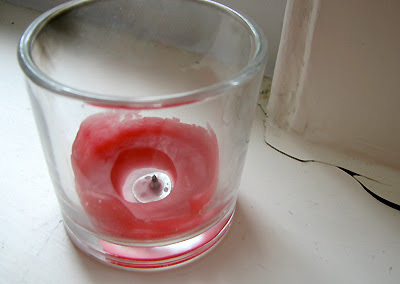 When your candle is burned up and you want to get the wax out of the holder, put it in the freezer for awhile. The wax contracts, loosens up, and you can dump it right out in one big piece. Awesome. You have read this article random with the title July 2008. You can bookmark this page URL http://jenkrebs.blogspot.com/2008/07/how-to-get-wax-out.html. Thanks! While poking around in my cupboard the other day, I found a shot glass that would make a lovely little bud vase. Except it wasn't very cute, so I put a removable jacket on it. 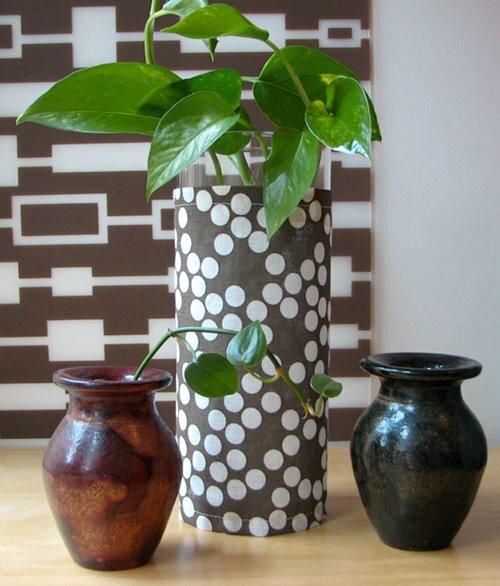 This turned out to be so easy and so much fun that I couldn't stop making these vase covers. Here's how. 2. Fold over and press a half inch at the top and bottom of the fabric; then sew a seam across it to hold it down. 3. 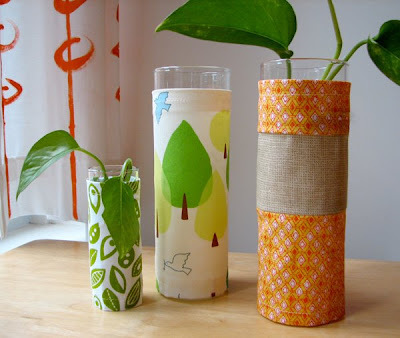 Wrap the fabric around your vase, right side to the inside, and pin it exactly where you'd like your seam to go. Slide the vase out and draw a line along the pins to help you sew where you need to. 4. Sew the tube along the line and press the seam open. 5. Flip the tube right side out and put it on your vase. I put some cuttings of pothos vines (is that what these are?) here in water. They'll grow for years like this. A fresh flower centerpiece would be nice, too. Or maybe at Christmas I'll sew new holiday covers and put in some holly or branches. So many possibilities. You have read this article decorating / fabric / sewing / tutorials with the title July 2008. 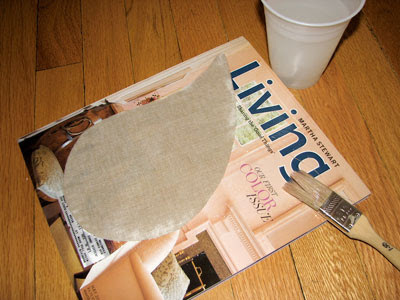 You can bookmark this page URL http://jenkrebs.blogspot.com/2008/07/easy-fabric-vase-covers.html. Thanks! You have read this article felt / tutorials with the title July 2008. You can bookmark this page URL http://jenkrebs.blogspot.com/2008/07/things-to-make.html. Thanks! Having a productive day? This site should stop you in your tracks. You have read this article time-wasters with the title July 2008. You can bookmark this page URL http://jenkrebs.blogspot.com/2008/07/biggest-waste-of-time-ever.html. Thanks! You have read this article downloads / paper with the title July 2008. You can bookmark this page URL http://jenkrebs.blogspot.com/2008/07/papercraft-from-canon.html. Thanks! Clarification: I didn't cut out a stencil like the tutorial said, but transferred my design on with graphite paper and then painted around it. And I used Golden brand matte gel medium instead of mod podge. This was a project for my friend's office. (Some of you know who I'm talking about.) She has a little sofa, a desk, a bookshelf, and some naked walls, so I put together a few decorations. Because nobody should have naked walls. 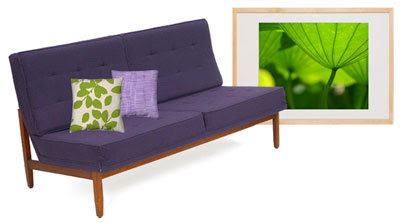 Sewed some pillows, found this print on Imagekind, got a cheap frame from Ikea, and made the purple painting to take up some wall space. This Photoshop collage was my test to see if the things would look okay together. You have read this article fabric / paintings with the title July 2008. 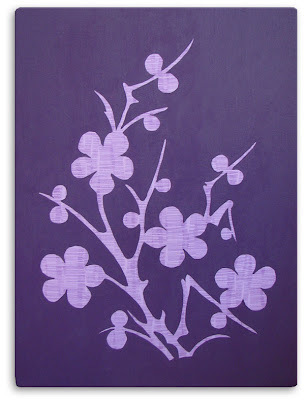 You can bookmark this page URL http://jenkrebs.blogspot.com/2008/07/fabric-and-paint.html. Thanks! You have read this article paper with the title July 2008. You can bookmark this page URL http://jenkrebs.blogspot.com/2008/07/greetings-from-kuwait.html. Thanks! Got some time to kill? Go to this site and click the little box at the top of the window. You can read more about the digital sand project right here. Thanks, Rich. You have read this article time-wasters with the title July 2008. You can bookmark this page URL http://jenkrebs.blogspot.com/2008/07/make-sandbox-in-your-monitor.html. Thanks! I tried to redeem the bag by putting an orange binder in it. I think it helps, don't you? You have read this article tutorials with the title July 2008. You can bookmark this page URL http://jenkrebs.blogspot.com/2008/07/sewing-is-violent-act.html. Thanks! Download and print some bookplates for the little ones, created generously by Emily Martin and available for free at CraftSanity. Click here and scroll down a bit to fetch the PDF. You have read this article downloads / paper / printable with the title July 2008. You can bookmark this page URL http://jenkrebs.blogspot.com/2008/07/printable-bookplates.html. Thanks! 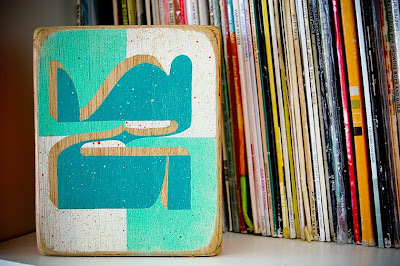 Andy Sargent, fellow orange aficionado from Australia, sent over a link to see his artwork painted on salvaged wood. I like! See more at his site Seven-nine. You have read this article with the title July 2008. You can bookmark this page URL http://jenkrebs.blogspot.com/2008/07/seven-nine.html. Thanks! By the way, if you want to know how much coffee you can get away with before it's fatal, see here. You have read this article recipes with the title July 2008. 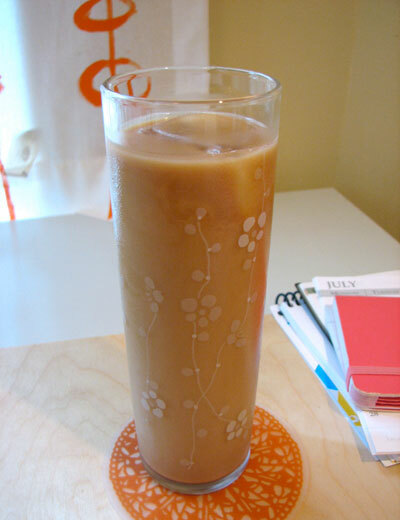 You can bookmark this page URL http://jenkrebs.blogspot.com/2008/07/cold-brewed-iced-coffee.html. Thanks! This happened just seconds ago. 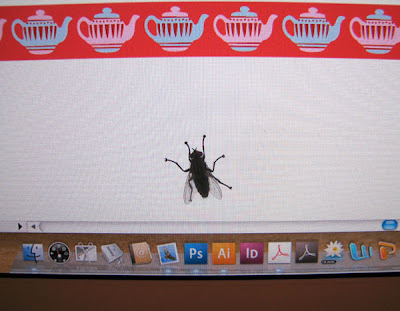 There I was, innocently making teapots in Illustrator, minding my own business, when a giant fly landed on my monitor right in front of my face. My first thought was to squash it, but I didn't want guts on my monitor. My second thought was how funny this looked, and since my camera was right next to me, I took his picture. Just a little window for you into the life of a designer. I will probably delete this post soon because it is disgusting. Okay, maybe I won't, since I see it was a big conversation starter. Who knew? You have read this article with the title July 2008. You can bookmark this page URL http://jenkrebs.blogspot.com/2008/07/caution-image-may-be-disturbing-to-some.html. Thanks! 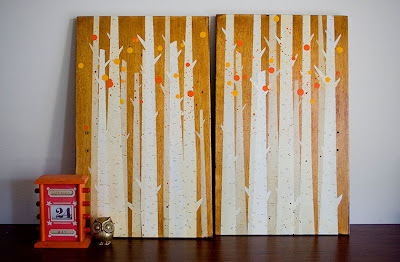 I've been wanting to stick some fabric on my walls ever since I saw this project using starch. I figured I should start simple and keep it small in case something went haywire, so here's my experimental door decoration. I started by sketching out my plan. And then I ignored it when I cut out and assembled my pieces, apparently. 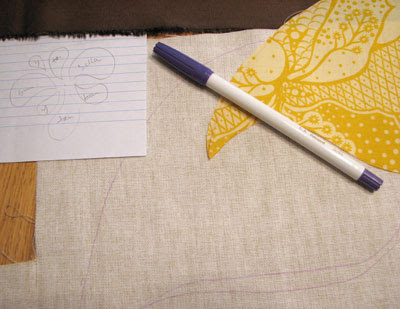 I used a disappearing fabric marker to sketch out the shapes on fabric, then cut them out. 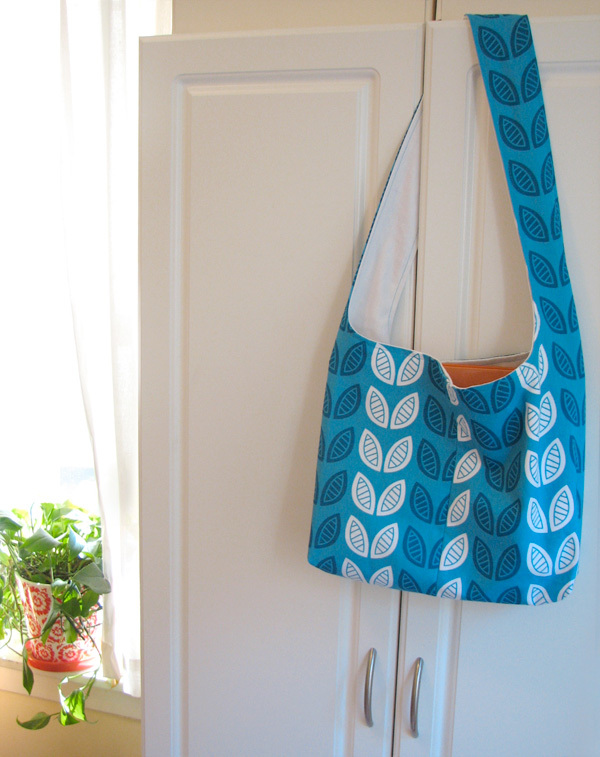 The thinner the fabric you use, the easier this project is. I used varying weights left over from making pillows (that tan stuff there is canvas, but it still worked). After cutting out pieces, I laid them out to make sure they looked okay together. Then I used one or two pieces of double stick tape to attach them to the door in the same arrangement. 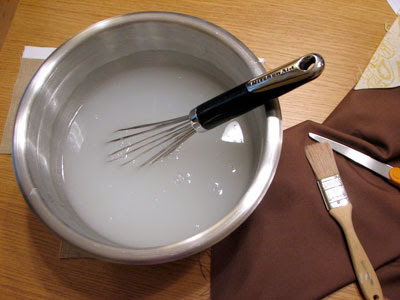 Stir 1/4 cup corn starch into 1/2 cup cold water. Then pour in 4 cups of boiling water and mix it up. That produces a ridiculously huge bowl of starch for what I was doing, I learned. I poured some into a plastic cup to use on the door. When all was said and done, the level in the cup went down a half inch. Now I have over a quart of starch left. I guess I will be making a lot of gravy sometime soon. I painted the starch onto the back of the fabric pieces, soaking them thoroughly. After you stick the pieces on the door, smooth more starch onto the fronts of the pieces, squishing out any air bubbles with your fingers. Starch will probably drip onto your floor, so if you've got carpet, protect it with something. When you're done smoothing, wipe off any fugitive drips and let the pieces dry. 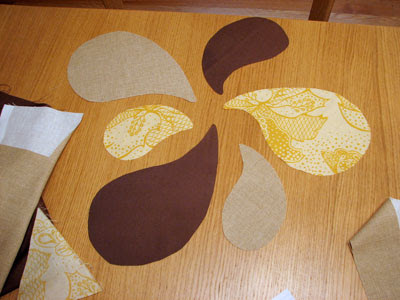 When you want to take the design off, just peel off the pieces and wipe off any leftover starch with a damp cloth. Supposedly this will not harm your paint job at all, according to reports from many people online, making this the perfect wall treatment for apartment dwellers. 8/4/08 Update: On a whim while brushing my teeth last night, I pulled these off the door. The fabric came off easily. Some threads were left around the edges, so I'll pull those off and probably use a damp cloth to wipe off any remaining starch. I am pleased with how easily it came off, and the paint job is fine. 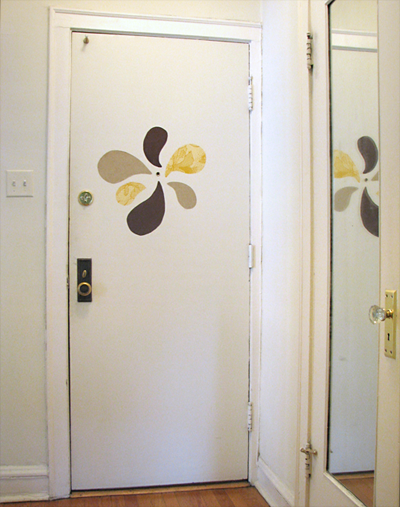 9/7/11 Update: Check out this door makeover using the same technique! You have read this article fabric / home / tutorials with the title July 2008. 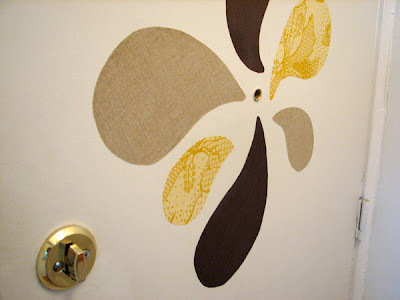 You can bookmark this page URL http://jenkrebs.blogspot.com/2008/07/starched-fabric-wall-decal-experiment.html. Thanks! Just when you were thinking to yourself, "What the heck are high res woodgrain textures good for," here's the answer. Desktop wallpaper! (Which I consider to be the answer for everything, really.) Download this one here. You have read this article desktops / downloads with the title July 2008. You can bookmark this page URL http://jenkrebs.blogspot.com/2008/07/woodgrain-desktop-wallpaper.html. Thanks! Download high resolution wood grain photos here. You have read this article downloads / graphic design with the title July 2008. 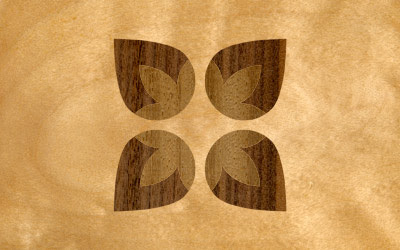 You can bookmark this page URL http://jenkrebs.blogspot.com/2008/07/free-wood-grain-textures.html. Thanks!